Spiral bound desktop calendar collection: Year 2014. 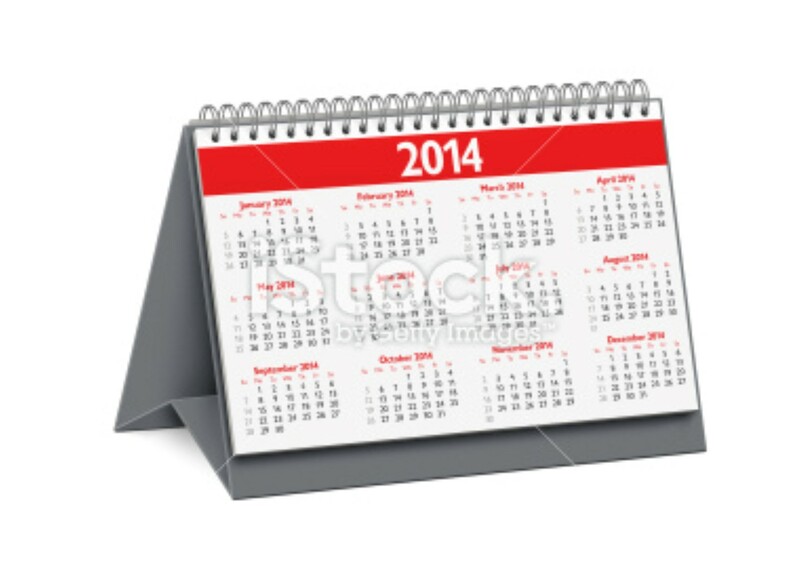 In this version: Yearly calendar, textured gray stand, white paper, sans-serif font. Clean image and isolated on white background.